“Brotox” is the layman’s term used for BOTOX® for men. It’s not a technical term, but rather one men throw around when discussing this cosmetic treatment. If you’re a man wondering if BOTOX is something you should get, consider the information in this guy’s guide to “Brotox”. BOTOX is an injectable wrinkle relaxer. The formula contains botulinum toxin, which is poisonous. However, in extremely small amounts injected into the muscles, it is completely safe and effective for the treatment of wrinkles as well as many medical conditions such as migraines. While BOTOX has crossed the lips of many women over the years, it’s recently become much more popular with men than it was a decade ago. The main reason is the perception of older men is changing. While men were often complimented on their rugged, older, more distinguished looks several years ago, men are now realizing disadvantages to aging. BOTOX has become a way for men to not only look young and attractive, but feel that way, too. By smoothing these areas of the face with BOTOX, men look years younger. It only takes 5 to 7 days to see the effects of treatment. Most men will see their wrinkles lessen until they are completely gone. Full results are often seen in just 2 weeks. These effects last for about 4 months. Some men can wait 6 months or more before having treatment again, while others may want to have it done sooner than 4 months to keep up the smoothness of their face. These side effects are not seen in all men. 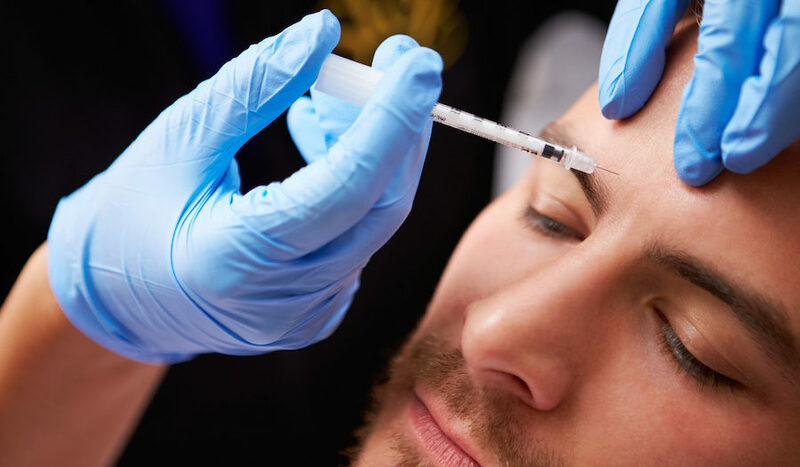 It’s unknown what you may experience from a BOTOX treatment until you have it, and many men experience decreasing reactions with every treatment. Side effects often last for a few hours and then subside. My suggestion is to have your first treatment on a day you can go home and rest. This way if there is any reaction, you’ll be in private for it. It’s possible to schedule a treatment later in the day, if that works better for you. As an experience provider of this highly effective treatment, I can tell you it has greatly helped my clients to keep away the wrinkles, and to look their very best. I would love to show you what it can do for you. Contact me now to set up an appointment for a free consultation by calling 1-844-426-8696. I serve Long Island plastic surgery candidates in Suffolk County and the surrounding areas such as Islip, West Hampton Beach, Commack, Manhattan, Brooklyn, Rockville Centre, Huntington Bay, and Farmingdale, New York. *BOTOX® Cosmetic is a registered trademark of Allergan, Inc. All other products and treatments mentioned are trademarked by their respective owners.